Serena Williams is one most accomplished and recognizable athletes in the world. She also happens to be a self-proclaimed karaoke fanatic! This week, in an Outside the Ball exclusive, Serena takes the stage to prove her love of lyrics. Host Mayleen Ramey presented Serena with a game we like to call, “Girl Power Pop Quiz” to challenge her knowledge of popular female anthems. When given a partial lyric, Serena had to try and complete it. What could have been tough, turned into a breeze for Williams. Before Mayleen could finish a sentence, Serena was roaring with delight over recognizing the hit Katy Perry song! 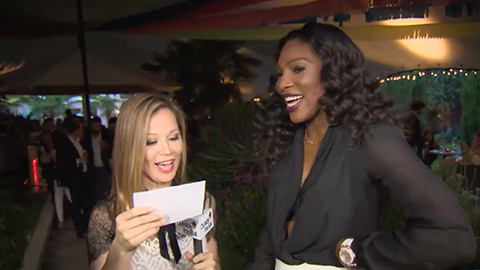 Watch as Serena Williams sings along to our Pop Quiz, dances to Destiny’s Child, and shares some laughs!